Poor safety standards and low wages for garment workers are widely known, but we rarely hear about the people who make our shoes. Now campaigners in the UK and across Europe are calling on shoe brands to stop hiding and take responsibility for conditions in their supply chains, where shoe workers endure poverty wages and dangerous conditions. 85% of leather sold in the EU is tanned with chromium. During the production process workers are exposed to chemicals which can cause asthma, skin cancer and other deadly diseases. One worker interviewed for a Change Your Shoes report had tumours all over his body from exposure to these chemicals. 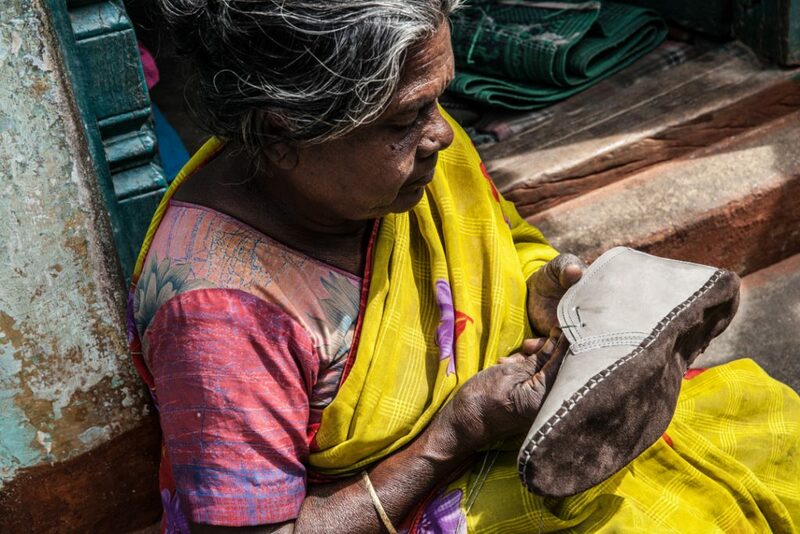 Elsewhere, women homeworkers do long and labour-intensive work stitching leather uppers for our shoes. But at the end of a complex supply chain these women are often invisible to the big brand buyers; they suffer health problems from the repetitive work and are particularly vulnerable to exploitation by their employers. The ‘Step Up’ campaign is launched on 9 May (Europe Day) by the Change Your Shoes project, a coalition of organisations across Europe and Asia. The campaign is calling on leading UK and European shoe brands to follow a growing trend for greater transparency and make their supplier lists public, showing that they are not afraid to be held accountable for working conditions. The coalition adds that brands should go further than simple transparency. They must take steps to protect workers from dangerous conditions such as the chemicals used in the tanning process, and ensure that workers are treated fairly, in line with their responsibilities under UN guidelines. The Change Your Shoes campaign is calling on global shoe brands Deichmann, Camper, Prada, Birkenstock, CCC and Leder & Schuh to publish the names and addresses of all their suppliers, move away from the use of dangerous chemicals and ensure fair and safe working conditions for the people who make their shoes. In the UK, the campaign will also be calling on a number of well-known brands and retailers to lead the way: Primark, Asda, Very.co.uk (Shop Direct), Bohoo.com, Boden, Harvey Nichols, Sports Direct, Schuh, Office, Faith (Debenhams) and Dr Martens. “Working conditions in the global shoe industry are hidden from us as most brands keep their supply chain information a secret,” said Ms Round. “This has to change.